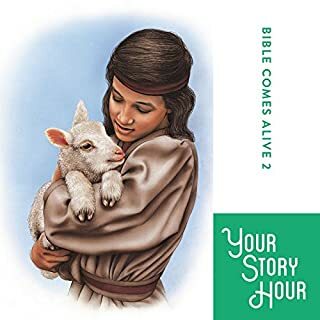 Dramatized audio stories for children of all ages from the Bible. This title covers David's reign as Israel's king and move down through Biblical History to the time of Queen Esther. Dramatized audio stories for children of all ages from the Bible. This album continues with Jesus ministry, His death and resurrection, and the beginning of the early Christian church. 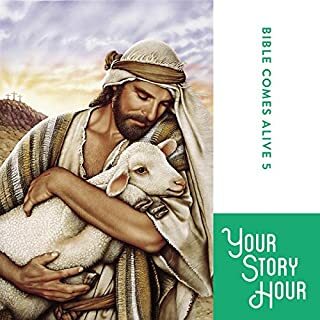 Dramatized audio stories for children of all ages from the Bible. This album covers Israel's travels in the desert and moves down through Biblical History to the Saul and David. 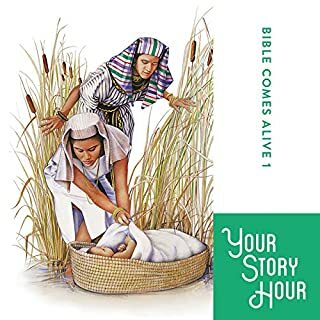 Dramatized audio stories for children of all ages from the Bible. This audio covers creation and moves down through Biblical History to the time of Moses and the Israelites escape from Egypt. 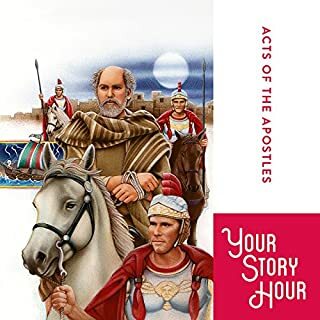 These dramatized audio stoires for children of all ages come from the New Testament and are about the early church including: Pentecost; Paul and his missionary journeys; and Peter, James and John. Dramatized audio stories, for children of all ages, taken from history. 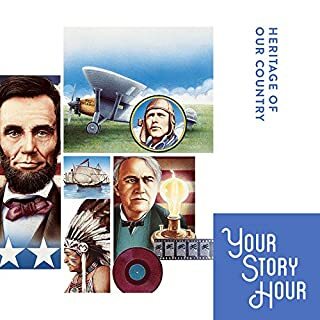 Through this album you will learn about Columbus, the pilgrims, Alexander Graham Bell, the Wright brothers and many other characters of history. Follow the mid-1800s adventures of the Allen Family as they join a wagon train headed west on the epic Oregon Trail. Traveling over 2000 miles in their oxen-driven "Prairie Schooners" through hazardous river crossings, treacherous weather, mountain passes, tragedy, disease, and devastating dust storms, the Allens symbolize the determination and trials of a typical family who braved the Oregon trek. Your Story Hour proudly presents a new set of exciting, dramatized stories. Listen as Desmond Doss, the courageous WW2 medic, saves the lives of 75 wounded American soldiers on Okinawa. Or return to the year 1781 as teenager Emily Geiger risks her life to carry a secret message from patriot officer Nathan Greene through enemy lines. These dramatized stories illustrate the power of God's protection, the compassion of people for one another, and courage to face difficult circumstances. Dramatized audio stories, for children of all ages, taken from history. Through this audio you will learn about Albert Schweitzer, George Muller, Florence Nightingale Clara Barton, Louis Pasteur and many other characters of history. Dramatized audio stories about role models that will inspire and teach important values so necessary in the development of good character traits for today's youth. Dramatized audio stories that bring to life the heroes and heroines that helped shape a new nation. They really are Great Stories! Dramatized audio stories for children of all ages. Through the stories in this audio children will learn lessons about honesty, discipline, obedience, making friends and many other noble characteristics. Listen as Wassaja, a young Yavapai boy, overcomes the destruction of his village and a violent abduction by a rival tribe, yet by 1899, goes on to become Dr. Carlos Montezuma - the second American Indian to become a physician in the US. Return to the Nebraska plains' Omaha Reservation where Chief Iron Eye's compassionate daughter (Susan LaFlesche Picotte) begins her epic journey, becoming the first American Indian woman physician. These dramatized audio stories for children illustrate the courage, dedication, and faith of persons who despite adversities, persevered to follow their visions. Dramatized audio stories on inspiring characters of history. This work includes Sojourner Truth, John Newton, Hudson Taylor and Eleanor Roosevelt. In 1810 a teenage American sailor, Joseph Bates, is abducted by the notorious British press gang. Listen as he is unjustly forced into the King's navy, then escapes only to be seized again. Released six years later, he works as a merchant seaman surviving ocean perils and harrowing storms. Joseph's skill and courage result in his becoming a trusted sea captain. His marine adventures continue, yet Joseph feels the need for faith in his life. In this set of exciting, dramatized audio stories, you'll enjoy hearing the compelling adventures of Thomas Jefferson, the heroism of Polish social worker Irena Sendler during the Nazi occupation of her country in WWII, the perseverance of the civilian passengers of the sunken ship Zamzam, the compassion of pioneering woman doctor Helena Wink in Dakota territory, and the lifesaving inventions of Garrett Morgan. Enjoy these and other heart-warming stories of courage and character. 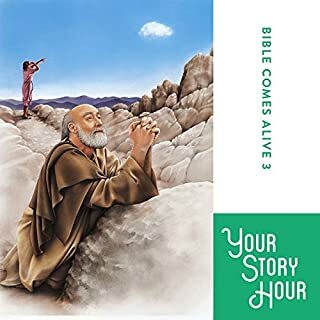 Dramatized audio stories for children of all ages from the Bible. This volume covers the stories of Daniel, Jesus' birth and His ministry. Listen to more in the Biblia series. Great for Children and Adults! I am definitely buying the collection. We used to listen to this on the radio, but the stories were only 30 minutes. I initially purchased the first series for my kids but quickly understood and loved it so much that I listen at work and in my car. I am about to purchase the 4th series and I can listen to them all over and over again. 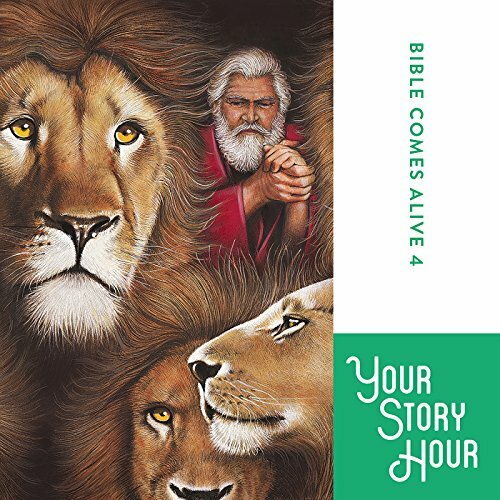 Fantastic audio that really does bring the bible stories to life. The best way to learn bible lessons. My kids love it. It feels like you’re inside of it. Makes the imagination fly. Totally enjoyed these stories!! They are very interesting! I would defiantly recommend these stories! Hope you enjoy them! age 1 to 63 yrs. great stories and on long rides its a blessing. even on short rides. or time to go to bed we don't fight any more they say what part they would like to hear and 3 to 5 minutes they are asleep.